Ed Goldman is an attorney and Associate Professor in the University of Michigan Medical School. His work lies in the intersection between law and medicine. In 2009, after 31 years of running the university’s Health System Legal Office, he moved to the Department of Obstetrics and Gynecology in order to create its Sexual Rights and Reproductive Justice Program. He holds teaching appointments in the School of Public Health, where he teaches a class on human subjects research; in the LSA Women's Studies Department where he teaches a senior-level class on women's rights; in the Law School where he teaches a seminar on reproductive justice; and in the Department of Obstetrics and Gynecology, where he teaches various topics in law and medicine. In addition, he works with the law school in Kumasi, Ghana to create a Law Students for Reproductive Justice chapter and a teaching curriculum in women’s rights. He has published on the sterilization of developmentally disabled minors, the legal aspects of negotiation between physician and patient in maternity care, and numerous topics concerning newborn screening and the use of embryonic stem cells in research. His collaborative work includes an NIH-funded committee to study the research uses of dried blood spots from newborn screening, a national cancer panel to create more readable research consent forms, a State of Michigan panel for Hepatitis B management, an HHS task force to develop a uniform set of conditions for newborn screening. and a Ford Foundation grant to study capacity building for Michigan reproductive justice groups. In 2013 he obtained a Michigan Meetings grant that allowed him to hold an international conference on establishing networks for advocates and academics to work together on reproductive justice issues. He was Chair of the State of Michigan Certificate of Need Commission and is currently President of the Michigan BioTrust for Health Board of Directors. 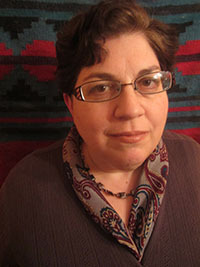 Alexandra Minna Stern is Professor of Obstetrics and Gynecology, American Culture, History, and Women’s Studies at the University of Michigan. Her research has focused on the uses and misuses of genetics in the United States and Latin America. She is the author of Eugenic Nation: Faults and Frontiers of Better Breeding in Modern America (University of California Press, 2005), which won the American Public Health Association’s Arthur Viseltear Award for outstanding contribution to the history of public health. Her latest book, Telling Genes: The Story of Genetic Counseling in America, was published by the Johns Hopkins University Press in 2012. She has held numerous grants for her work in medical history and health policy, including from the National Endowment for the Humanities, National Institutes of Health, and the Robert Wood Johnson Foundation. She is currently leading a project to create a dataset of 15,000 eugenic sterilization orders processed by the state of California in the 20th century and is principal investigator on a Ford Foundation grant to assess the status of reproductive rights and justice organizations and issues in Michigan. Deborah Fisch is an attorney, researcher, and advocate. 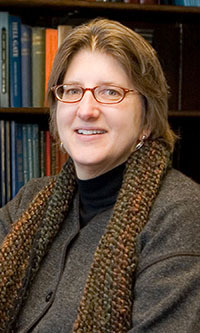 Her interests include the role of malpractice liability in determination of standard of care; the legal maternal-fetal relationship in pregnancy, labor and childbirth; demographic outcome disparities in childbirth, and the criminalization of pregnancy; regulation of out-of-hospital birth attendants and protocols for their interaction with in-hospital providers; and evolving access to maternity care under the Affordable Care Act. She is Vice President of the Friends of Michigan Midwives and of the Birth Rights Bar Association.